Dan Post sets the highest comfort standard for boots. The world's softest leathers and most exotic skins. Their exclusive comfort system with shock-absorbing heel pad and seven-layer cushioned insole. Genuine leather soles and all-leather linings. Their boots come already tamed, no break-in required. So cushioned, so comfortable, people wish they'd stepped up to Dan Post's standards sooner. Generally, your boots should be the same size as your shoe size. However, the toe shape and heel height may affect how they feel. When purchasing boots, always stand to determine proper fit. There are 3 key "tests" that can be used to determine a proper fit. The boot shank and arch of the foot should have matching curves. If the smaller toes extend beyond the stitching line of the welt, or if the toes cause a bump, the boots are too short. Examine fit across the instep by taking the leather between your thumb and index finger and rub your thumb across the instep. If the boots are too loose, a large wrinkle will appear. A slight wrinkle means the boots fit properly. After each wearing, boots should be wiped down with a damp, not wet, cloth. Allow your boots to air dry thoroughly between wearings. Do not set them near heat. Conditioner helps to maintain the original look and feel of the leather. Conditioning keeps the boots from drying out. Use a conditioner specially formulated for boots. Lanolin based products work best. Protect your boots even more with silicone water repellant. Use of boot trees will help maintain shape and form. The Dan Post Cushion Insole gives the best in cushioning materials for long, dry, comfortable wear. 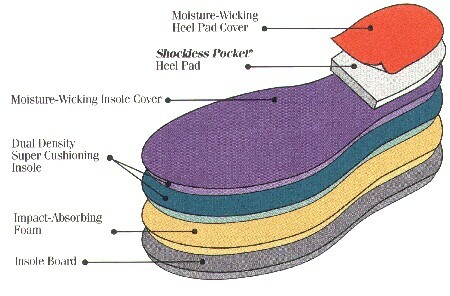 First, the leather heel pad cover gives the foot a soft, dry resting spot. The shock absorbing heel insert extends through the dual density insole creating an energy return system. Next, the dual density cushion insole gives added support to the foot from toe to heel. Our best and most comfortable insole system. 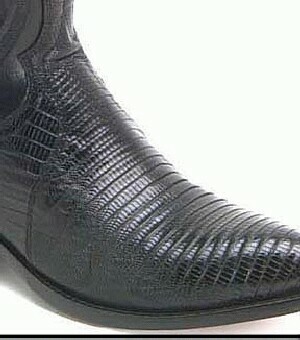 Dan Post Lizard skin boots are made from the belly skin of the Teju Lizard (also called alligator lizard). Found in the jungles of Central America, the Teju Lizard provides a versatile and elegant skin for exotic boots. Teju creates beautiful yet durable boots of unsurpassed quality and elegance. The hard tiled leather easily takes on an impressive shine. Remember that Teju Lizard dries out more easily than cowhide and cannot absorb conditioner as readily due to its irregular surface. Condition more often and in thinner coats to prevent cracking. Comfort To The Very Sole. Dan Post Cushion Comfort Insole Available On Selected Styles. Dan Post full quill ostrich skin boots feature a desirable and unique grain created by the bird's quill bumps. 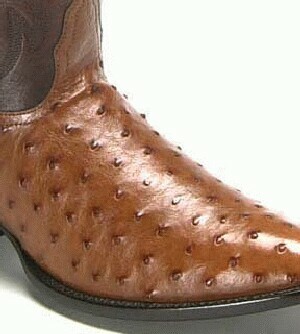 Full quill ostrich refers to the ostrich skin with an entirely quilled surface. Although the ostrich is native to South Africa, this flightless bird is raised domestically and abroad in commercial ranches. Protect your boots even more with silicone water repellant. Do not use silicone on exotic skins such as snake and osrtich. Use of boot trees will help maintain shape and form. Use of boot trees will help maintain shape and form.